They’re back from extinction, thank God. 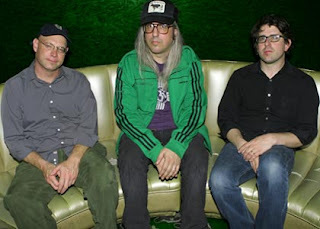 Dinosaur Jr., a classic grunge band, has recently become very active again, with the release of their new album, “Farm.” They’ve been out on the town performing, and soon will be touring. Below, watch them perform “Pieces” on Fallon. And keep in mind that they’re going to be on-the-road soon, starting July 25. Not only are they hitting up cities in the states, but they’re also swinging across the ocean to Europe. Check dates!